Two indoor unit with one outdoor units.Aluminum alloy panel of indoor unit, fashionable and luxury.Little rain and oxidation-proof for the durable aluminum alloy outdoor unit. 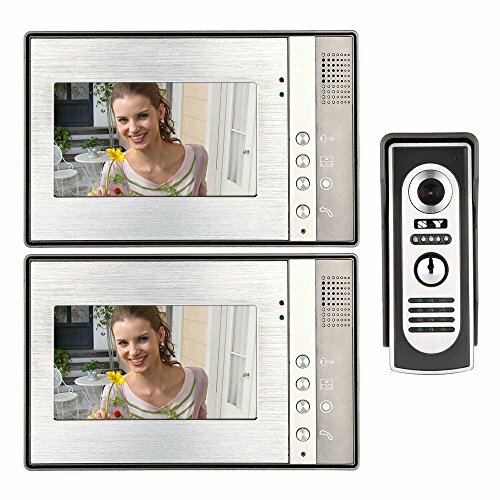 Mute indoor intercom function.Monitoring the outside of the door.16 kinds of door bell rings. Volume, brightness and contrast adjustable.Easy installation by yourself with adapter and cable we provide in this kit.